HMD Global has announced that the revamped Nokia 8810, first shown at this year's Mobile World Congress, will be reintroduced to the Australian market later this month. James Robinson, Acting Country Manager for Australia, says that ‘We’re really excited to bring another member of the Nokia Originals family to Australia." The new Nokia 8110 is the second device in HMD's Nokia Originals family, following last year's Nokia 3310 3G. "We want fans to enjoy the iconic curved, slide to answer function whilst still having all their smartphone essentials at their fingertips," Robinson says. The revamped Nokia 8810 runs on Qualcomm's 205 mobile platform, boasts a retro curved-slider design plus 25-days of stand-by time. The feature-phone also comes with preloaded Google Assistant, Google Maps and Google Search apps and is available in two color variants: yellow and black. 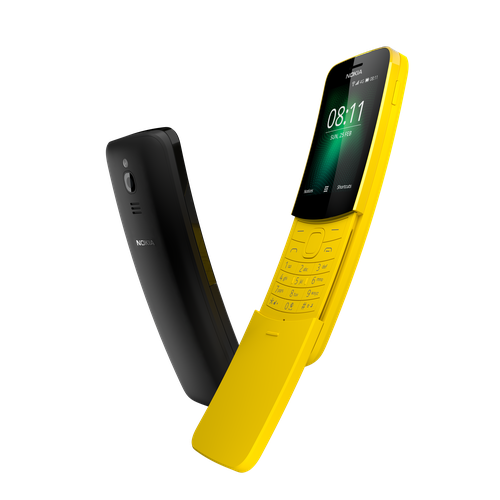 The new Nokia 8110 4G will be available from September 20 at Harvey Norman, JB Hi-Fi, Big W and Officeworks for $129.